This virus was originally referred to as “swine flu” because laboratory testing showed that many of the genes in the virus were very similar to influenza viruses that normally occur in pigs (swine) in North America. But further study has shown that the 2009 H1N1 is very different from what normally circulates in North American pigs. It has two genes from flu viruses that normally circulate in pigs in Europe and Asia and bird (avian) genes and human genes. Scientists call this a "quadruple reassortant" virus. Are there human infections with 2009 H1N1 virus in the U.S.? Yes. While 2009 H1N1 activity declined after later October, 2009 human illness with 2009 H1N1 is ongoing in the United States. In fact, the 2009 H1N1 virus is the predominant influenza virus in circulation so far during the 2009-2010 flu season. The United States experienced its first wave of 2009 H1N1 activity in the spring of 2009, followed by a second wave in the fall, with the number of people infected peaking at the end of October. 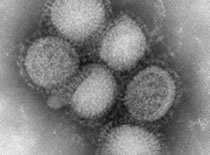 There are still uncertainties surrounding the rest of this flu season, including the possibility that seasonal influenza viruses will spread during the winter as they usually do while 2009 H1N1 viruses continue to cause illness. In past pandemics, flu activity has occurred in waves and it’s possible that the United States could experience another wave either later in the 2010 winter, or later. In the past, when new viruses have emerged to cause flu pandemics, the new virus has continued to spread among people. Experts believe it’s likely that the new 2009 H1N1 virus will continue to circulate among people for some time, perhaps as a typical winter flu. In fact, a 2009 H1N1 virus has been selected as the H1N1 vaccine component for the Southern Hemisphere’s upcoming seasonal flu vaccine. (More information about the selection of the viruses for the 2010-2011 Northern Hemisphere flu vaccine is available.). CDC routinely works with states to collect, compile and analyze information about influenza, and has done the same for the 2009 H1N1 virus since the beginning of the outbreak. This information is presented in a weekly report, called FluView. Influenza tests can occasionally give false positive and false negative results so it's possible that one of the test results were incorrect. This is more likely to happen when the diagnosis is made with the rapid flu tests. More information about flu diagnosis is available. Dr. Joe Bresee describes how to keep from getting the flu, and spreading it to others. If you think 2009 H1N1 flu can’t affect you, your family, or your friends—think again. Take 60 seconds to watch this reminder on why vaccination is so important. All of the excuses any of us make don’t stand a chance against this serious disease. Dr. Joe Bresee describes how to keep from getting the flu, and spreading it to others by taking these three steps. If you are sick with flu-like illness, CDC recommends that you stay home for at least 24 hours after your fever is gone except to get medical care or for other necessities. (Your fever should be gone without the use of a fever-reducing medicine. *) Keep away from others as much as possible to keep from making others sick. Be prepared in case you get sick and need to stay home for a week or so; a supply of over-the-counter medicines, alcohol-based hand rubs * (for when soap and water are not available), tissues and other related items could help you to avoid the need to make trips out in public while you are sick and contagious. Employees who are well but who have an ill family member at home with 2009 H1N1 flu can go to work as usual. These employees should monitor their health every day, and take everyday precautions including covering their coughs and sneezes and washing their hands often with soap and water, especially after they cough or sneeze. If soap and water are not available, they should use an alcohol-based hand rub. * If they become ill, they should notify their supervisor and stay home. Employees who have an underlying medical condition or who are pregnant should call their health care provider for advice, because they might need to receive influenza antiviral drugs. For more information please see General Business and Workplace Guidance for the Prevention of Novel Influenza A (H1N1) Flu in Workers. Washing your hands often will help protect you from germs. CDC recommends that when you wash your hands -- with soap and warm water -- that you wash for 15 to 20 seconds. When soap and water are not available, alcohol-based disposable hand wipes or gel sanitizers may be used. * You can find them in most supermarkets and drugstores. If using gel, rub your hands until the gel is dry. The gel doesn't need water to work; the alcohol in it kills the germs on your hands. For information about what to do if you get sick with flu-like symptoms this season, see What To Do If You Get Sick: 2009 H1N1 and Seasonal Flu. A downloadable flyer containing this information also is available. Fever-reducing medicines typically contain acetaminophen (such as Tylenol) or ibuprofen (such as Motrin). These medicines can both help bring fever down and relieve pain. Aspirin (acetylsalicylic acid) should not be given to children or teenagers (anyone aged 18 years and younger) who have flu; this can cause a rare but serious illness called Reye’s syndrome. To help avoid spreading the flu, if you have a fever, stay at home for at least 24 hours after you no longer have a fever or signs of a fever. However, if you're taking fever-reducing medicines, you cannot tell if your fever is truly gone. Therefore, when you start to feel better, increase the interval between doses of fever-reducing medicines and continue to monitor your temperature to make sure your fever does not return. Dr. Joe Bresee describes the main symptoms of flu, including 2009 H1N1 flu, and when it is serious enough to seek medical help. Influenza Round Table: Antiviral Drugs Dr. Joe Bresee explains the nature of antiviral drugs and how they are used. Yes. There are drugs your doctor may prescribe for treating both seasonal and 2009 H1N1 called “antiviral drugs.” These drugs can make you better faster and may also prevent serious complications. It’s very important that antiviral drugs be used early to treat flu in people who are very sick (for example people who are in the hospital) and people who are sick with flu and have a greater chance of getting serious flu complications (see box). Other people may also be treated with antiviral drugs by their doctor this season. 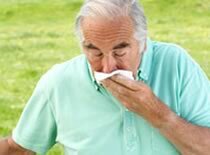 Most healthy people with flu, however, do not need to be treated with antiviral drugs. CDC does not recommend "swine flu parties" as a way to protect against 2009 H1N1 flu in the future. While the disease seen in the current 2009 H1N1 flu outbreak has been mild for many people, it has been severe and even fatal for others. There is no way to predict with certainty what the outcome will be for an individual or, equally important, for others to whom the intentionally infected person may spread the virus. Vaccination against 2009 H1N1 with a 2009 H1N1 vaccine is the best way to protect against this virus. Supplies of 2009 H1N1 vaccine are ample and CDC is now recommending that everyone get vaccinated. CDC recommends that people with 2009 H1N1 flu avoid contact with others as much as possible. If you are sick with flu-like illness, CDC recommends that you stay home for at least 24 hours after your fever is gone except to get medical care or for other necessities. (Your fever should be gone without the use of a fever-reducing medicine. *) Stay away from others as much as possible to keep from making others sick. Linens (such as bed sheets and towels) should be washed by using household laundry soap and tumbled dry on a hot setting. Individuals should avoid "hugging" laundry prior to washing it to prevent contaminating themselves. 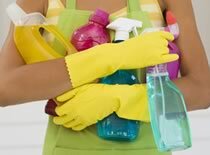 Individuals should wash their hands with soap and water or alcohol-based hand rub immediately after handling dirty laundry.